Jiri Friml who also works as a leader of research group in Ceitec Masaryk University is the first Czech to be so honoured. 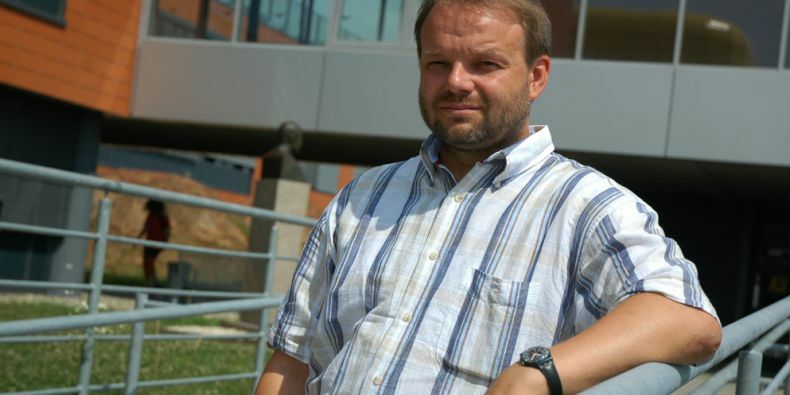 Friml´s research was described as the most important discovery in botany of the last decade.A leader of the research group Department of Plant Systems Biology in research institute Ceitec Masaryk University, Jiri Friml, has won the EMBO Gold Medal 2012. He became the first Czech scientist to be so honored. Jiri Friml also works at the University of Ghent and Institute VIB (Flanders Institute of Biotechnology). His research uncovered a universal mechanism governing the development of plants and it was described as the most important discovery in botany of the last decade. “Being awarded by my peers from EMBO is an immense honour and gives me great encouragement for my further work. I would like to think that this award is not only for me but also in a wider sense for plant research which deserves more support and could definitely benefit from more awareness,” said Jiri Friml. EMBO – European Molecular Biology Organisation awards the EMBO Gold Medal each year to only one scientist from all over Europe. For biologists it is the highest European award which confirms the quality of research in molecular biology. The Gold Medal is awarded since 1986.